In cooperation with the University of Frankfurt’s Department of Educational Sciences, the International Froebel Society-Germany (IFS-D) invites participants to its 2018 symposium, to be held at the Goethe University of Frankfurt in Frankfurt am Main on the 19th and 20th of October, 2018. 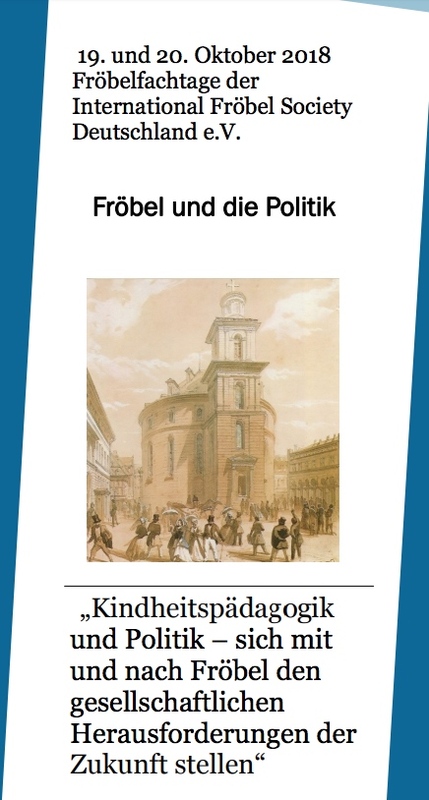 The focus of this year’s symposium is “Fröbel und die Politik: Kindheitspädagogik und Politik – sich mit und nach Fröbel den gesellschaftlichen Herausforderungen der Zukunft stellen” (Froebel and Politics. 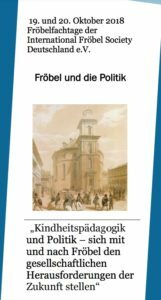 Early childhood pedagogy and policy: Coping with the societal challenges of the future with and according to Froebel).